Sometimes you don’t realize how long you’ve known someone, until you randomly spot an old photo that brings back all sorts of memories. Akane is from Osaka, Japan. When I started my blog, I used to ask her what her favorite places are for ramen, here in LA, and how they compare to places in Japan. She actually said that LA does a pretty good job with ramen. Akane and I play in a few bands together and as often as we see each other at gigs, we hardly have time to really hang out. But we finally got around to getting together outside of our gigging schedule and had some ramen! 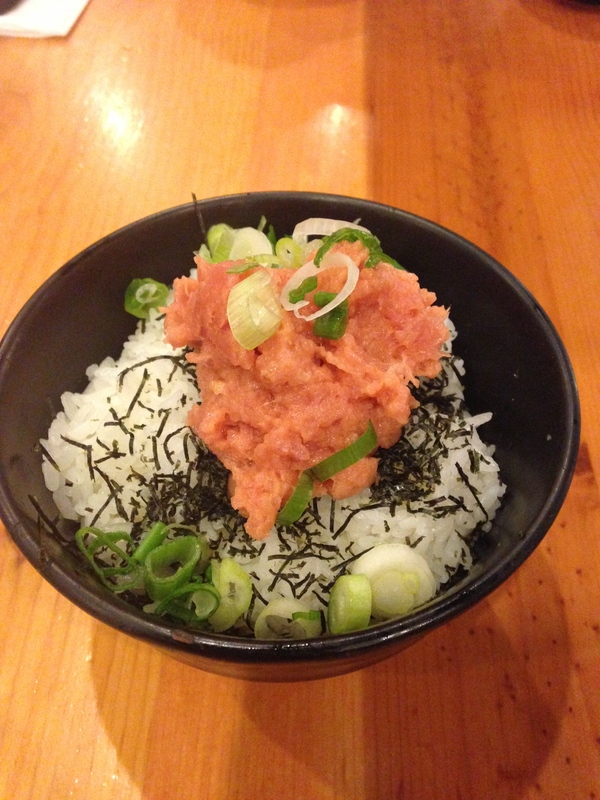 We met up at Ramen Yamadaya in Culver City. I had gone there once a few years ago on a solo ramen run. So it was nice to have company this time around! We started off with some tasty appetizers. 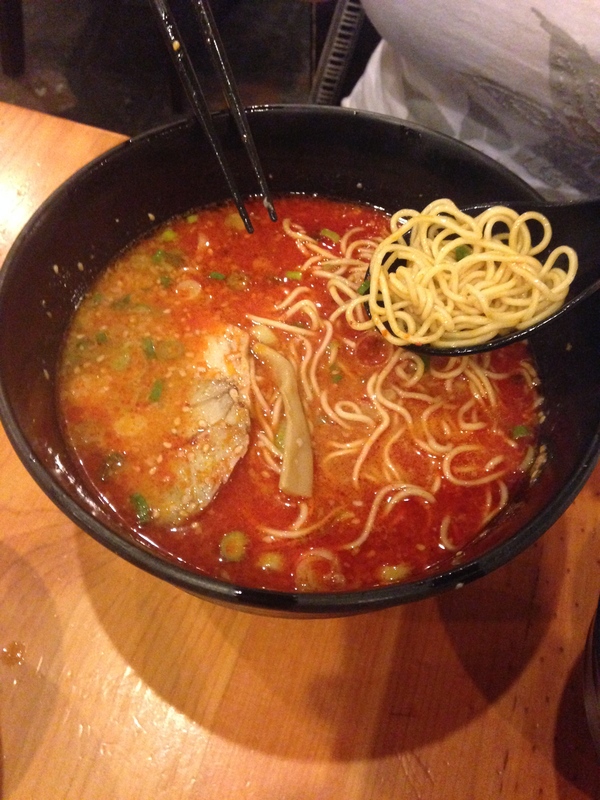 I ordered the Tonkotsu Ramen and Akane ordered the Tonkotsu Spicy. The pork bone broth at Yamadaya is cooked for 20 hours. The broth was very flavorful but also pretty heavy on the fat! 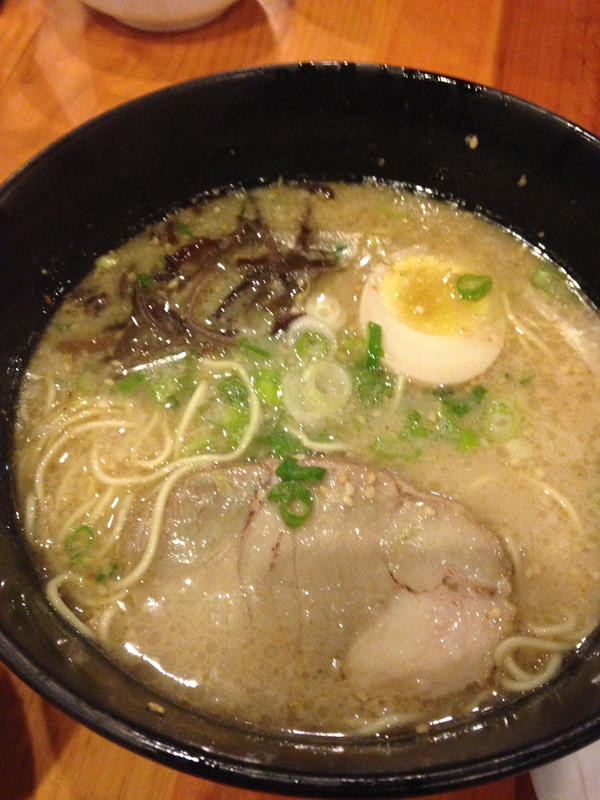 If you’re into fatty broth, try their Tonkotsu Kotteri, which I did a few years ago. It was pretty intense! The noodles were pretty firm and chashu was tender. Overall, a satisfying bowl of ramen. I’d recommend it if you happen to be in Culver City. After ramen, we went 2 miles up the Sepulveda for some dessert at Boba Time. A ramen run isn’t complete without dessert! 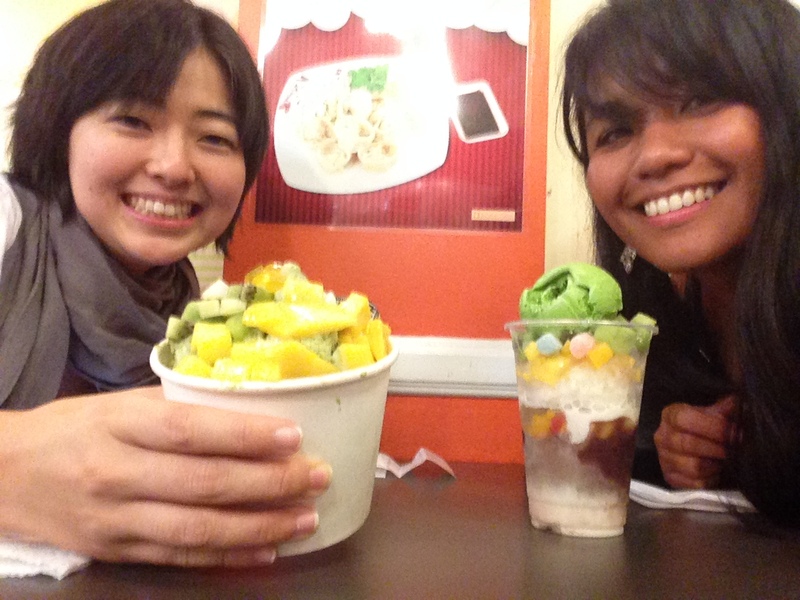 We both ordered their shave ice topped with fruits and green tea. 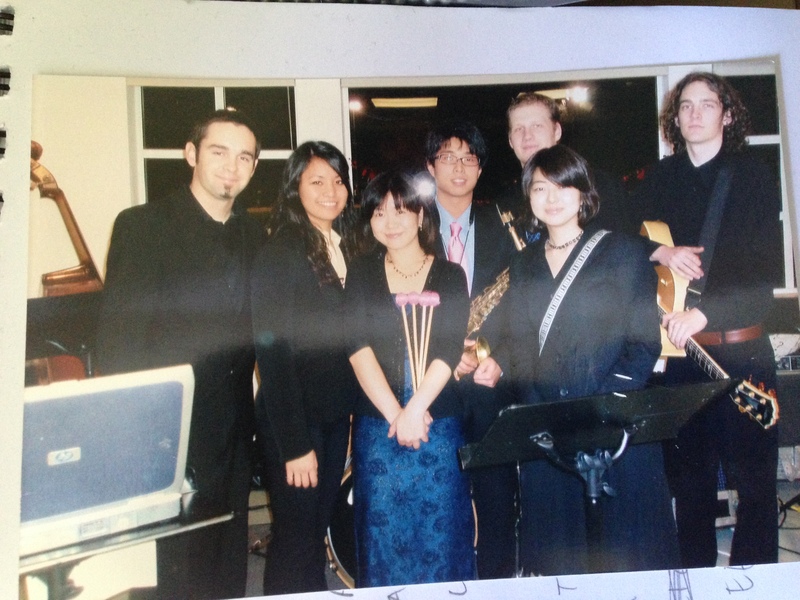 Akane and I… 8 years later! Akane and I went to junior college together, then eventually ended up at the same university. It’s crazy how we used to play together in college, then didn’t play for a long time. A few years ago, we found ourselves playing in the same bands again. So it was really nice just hanging out and catching up with Akane. I’m constantly hanging out with dudes playing in different bands, so it was nice to have some girl time and girl talk! 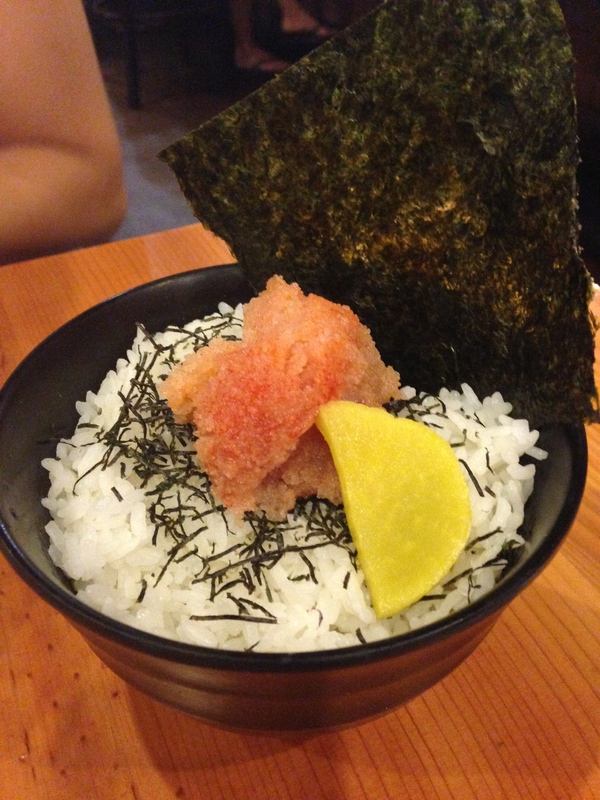 This entry was posted in Food, Japanese, Ramen, Ramen Run, Restaurant Review, Tonkotsu. Bookmark the permalink.